Once, weird instruments only made the rounds at exclusive academic conferences. Now, they go viral on Facebook. 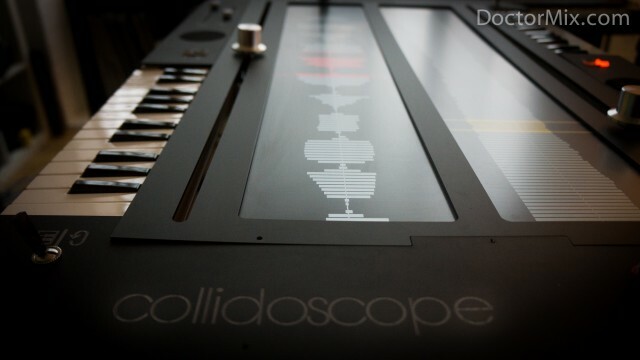 Such is the case with Collidoscope, the creation of a UK-based mixing and mastering service (out of London label Sunlightsquare Records) and Queen Mary researchers – Ben Bengler and Fiore Martin. It’s a massive tangible table-top interface to a granular instrument. There are a few things that make this one special, even to those of us who have seen such items before. 1. It’s big. It appears that the basis of this is a very large display, cleverly built into a slick-looking table-top interface. 2. It’s visual. A crisp, clear waveform display attractively shows you where you are. Nicely executed, that. 3. It’s physical. 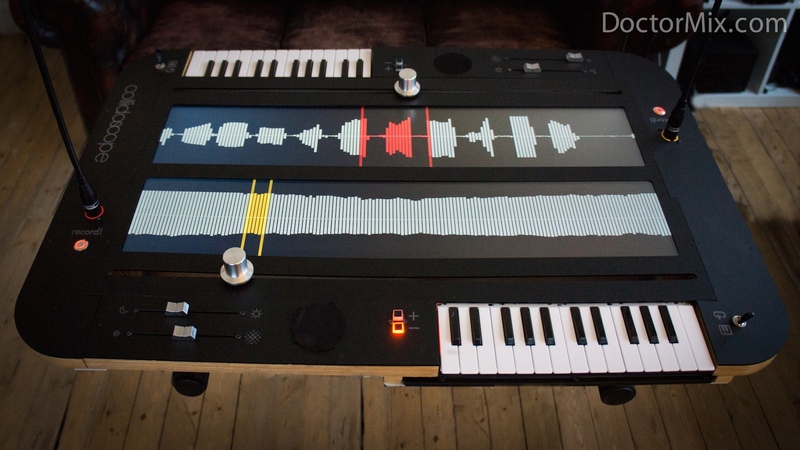 Big knobs and faders and a keyboard set this apart from the iPad apps and whatnot that do the same – and also set up the possibility for collaboration. 4. It samples. Built-in sampling is connected to a SuperCollider engine underneath for responsive sonic control. Built your own interesting granular controller? We’d love to see it. Seems this could also be a chance to open up design ideas. Speaking of which, I really should come up with a better interface for my own mangled Pd creation and maybe clean up the patch enough that I wouldn’t be embarrassed to let anyone see it! But really brilliant and inspiring work, lads! This raises the bar. Or, at least, the table.